At last, the long-awaited Facebook feature has finally arrived. 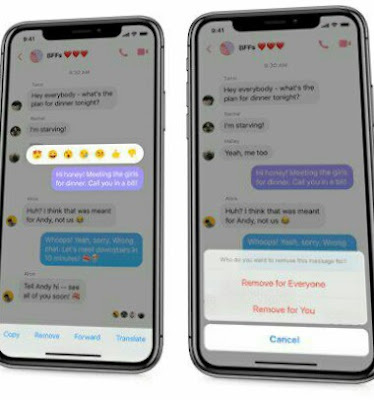 This new Facebook feature will allow you to revoke a message you sent by mistake or maybe you made a mistake in the message. Unlike Telegram that allows you to revoke message(s) within 2days, Facebook will allow you to revoke sent message(s) within 10 minutes. The new feature is only available in some countries ( Colombia, Poland, Bolivia and Lithuania). the feature will be available in other countries very soon.